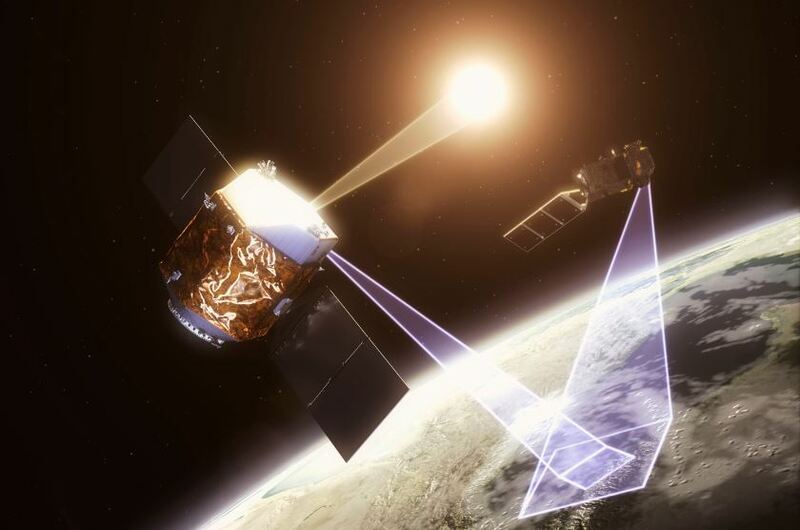 To enable CSAR to provide the radiometric calibration of the Earth & Sun viewing imaging spectrometer, a novel calibration procedure utilising monochromatic radiation has been devised, mimicking that used terrestrially at National Metrology Institutes such as NPL. This full calibration system will be designed and built to space consistent constraints: scales, materials, mechanism types etc and fully tested in vacuum with the new HPSC cooled CSAR. 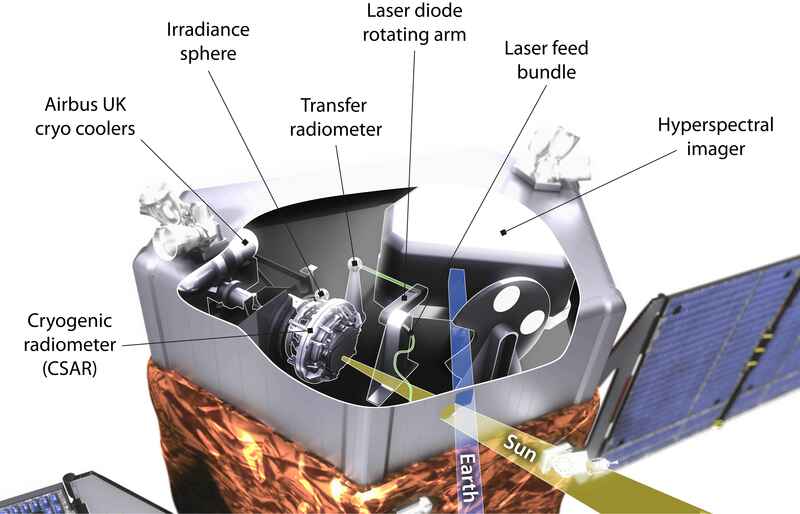 This calibration system will look to demonstrate calibration uncertainties of <0.3% for spectral radiance and irradiance over the Visible to SWIR spectral range, greater than a factor ten better than has been achieved for any previous EO mission (although downgraded from that achievable using optimised terrestrial technologies (0.02%)) resulting in a TRL of 5/6. The CEOI8 project’s major deliverable was to increase the TRL of this concept through building a lab-based ‘flight representative’ prototype of CSAR (including coupling to Airbus HPSC space cooler) and a breadboard calibration system, both tested under vacuum, demonstrating technology readiness level (TRL) 5/6, as well as an engineering assessment of the feasibility and reliability of a space-qualified version of the TRUTHS payload and some consideration of implementation options. The work was extended to include more detailed mission analysis including ROM costings, together with a study to demonstrate achievable uncertainties when used in cross-calibration of spectrometer based sensors like Sentinel 3 OLCI. All project objectives were achieved, providing demonstrable evidence that the mission could be readily implemented utilising heritage or low risk incremental technology developments and fully meet its performance goals. The conclusion of this project will mean that all key technologies and concepts needed for TRUTHS will be at TRL 5/6 with little risk to implementation remaining. In addition key sub-systems like the HPSC and VANTA black coatings will have a wider range of applications in the space sector, Earth Observation and space science leading to economic return to the UK. The HPSC, will be able to continue and expand the market lead of its predecessor the 50-80K cooler, emphasising its strengths over competing technologies such as pulse tubes from elsewhere in Europe. The establishment of an observational climate benchmark data set of sufficient accuracy to enable the unequivocal detection of climate change with the ability to constrain and test climate forecast models on a decadal time scale is one of the key challenges laid down by the international climate science community. The UK led TRUTHS (Traceable Radiometry Underpinning Terrestrial- and Helio- Studies) and its US sister, CLARREO (Climate Absolute Reflectance and Refractivity Observatory) are mission concepts proposed to address this exacting issue. 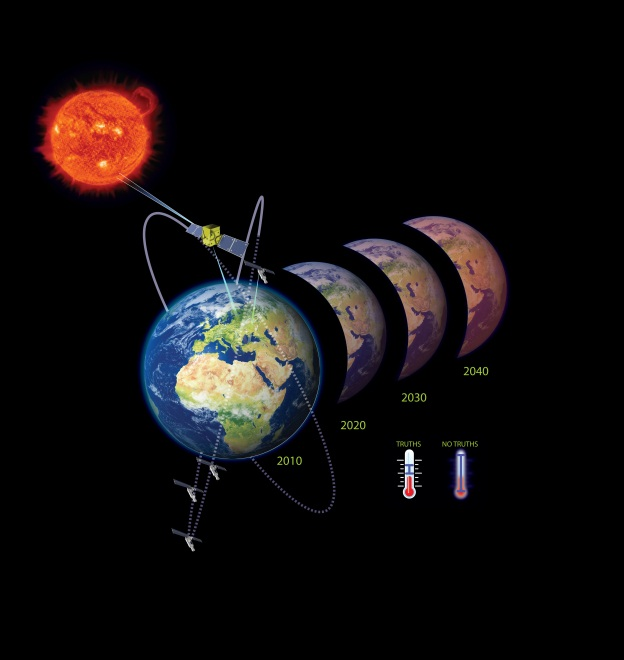 TRUTHS’ primary goal is to provide benchmark measurements of both incoming (solar) and outgoing (reflected solar) radiation with sufficient spectral resolution and accuracy to detect the subtle changes in as short a timescale as possible (~12 yrs) – limited by natural variability of the climate system. In summary, measuring global spectrally resolved (10 nm) Earth radiances, continuously sampled (spectrally and spatially) with GIFOV of ~<100 m from 340 to 2340 nm and the corresponding solar spectral irradiances both with uncertainties to SI units of <0.3%. The design study will trade-off complexity/risk/cost against science drivers ensuring that the core objectives, climate benchmark are achieved whilst maximising the opportunity for secondary objectives. The study will also evaluate the performance advantages achievable from using TRUTHS as a reference calibration satellite for sensors with Sentinel 2 & 3 like characteristics and also as a ‘calibration mother ship’ for low cost constellations.